With a stay at Hotel Erettz Zeelim in Tze'elim, you'll be 17.4 mi (27.9 km) from Rota Winery and 28.3 mi (45.5 km) from Vasermil Stadium. Featured amenities include dry cleaning/laundry services, multilingual staff, and luggage storage. Free self parking is available onsite. 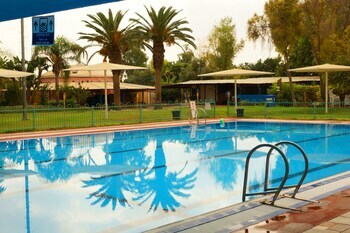 Located in Bat Yam, Hatzmaot - Bat Yam is within a 15-minute drive of Jaffa Port and Hatachana Compound. With a stay at Nofesh Baatika in Safed, you'll be just steps from Abuhav Synagogue and Hameiri House. With a stay at The Promenade Art in Tel Aviv (Tel Aviv Promenade), you'll be within a 10-minute drive of Carmel Market and Gordon Beach. Free self parking is available onsite.